Eight seriously simple lunchbox ideas the kids will love. - Just Veg. Sandwiches are so last year when it comes to school lunches. As in, challenge to pack something the kids will actually eat! 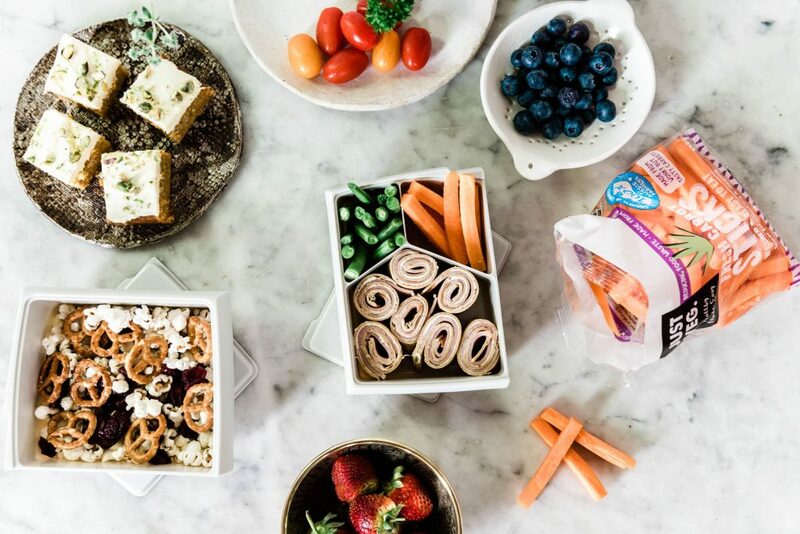 Cheese sandwiches and a piece of fruit just doesn’t cut it anymore. But we’re not saying you need to go the full lunchbox Ninja mum and turn sliced bread into works of art. If you’re anything like us (Just Veg. is powered by a group of working mums who dread the lunchbox grind) you want quick, simple ideas to fill their school lunchboxes with easy, nutritious food. So here goes – Eight Seriously Simple Lunchbox Ideas the kids will love. Looks hard. It’s not. Seriously. You’ll be the talk of the playground when the kids see these in your child’s lunchbox. Wrap + cream cheese + Just Veg. Carrot Shred = genius. 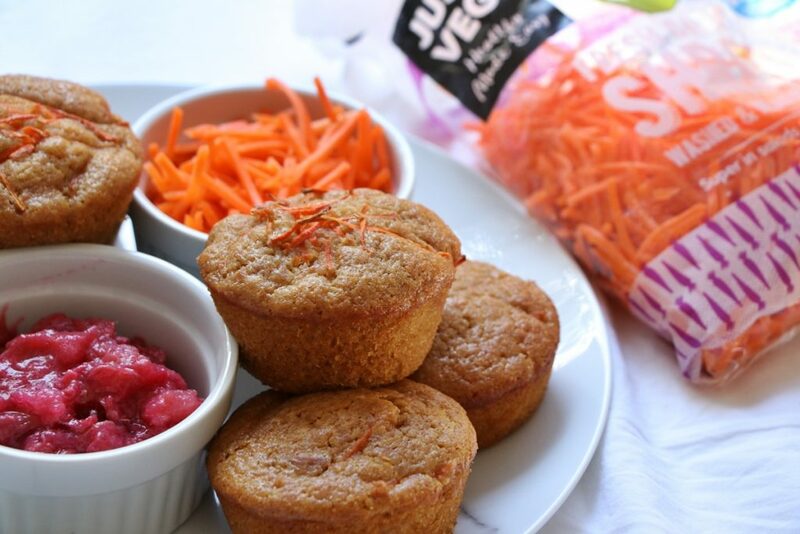 Perfect for an afternoon snack or to pop in lunchboxes! It’s easy, delicious and packed with hidden veg. 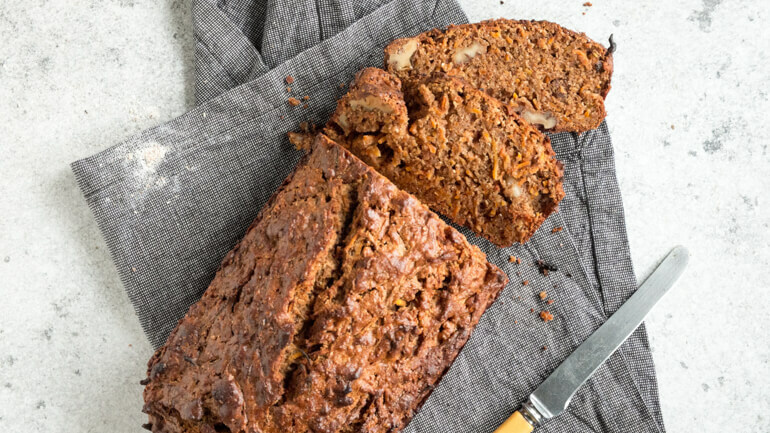 The easy peasy carrot loaf is a #winner. An oldie but a goodie. We get it, some mornings you just need a grab’n’go lunchbox. Now you can do it without the guilt. 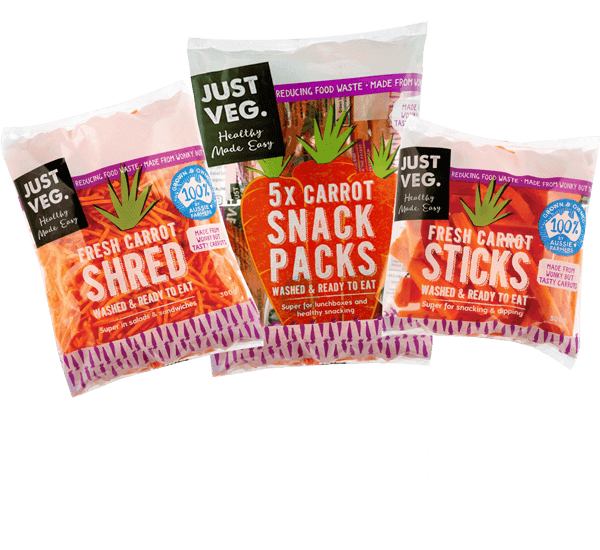 Our Carrot Stick Multipack features five, perfectly portioned serves of healthy Carrot Sticks – one for each day of the week. Add your favourite dip (we love hummus) and boom, Munch & Crunch, Brainfood snack., or whatever your school calls it, is sorted. Sometimes you just need an easy healthy snack on the go. Here’s a twist on an old faithful. 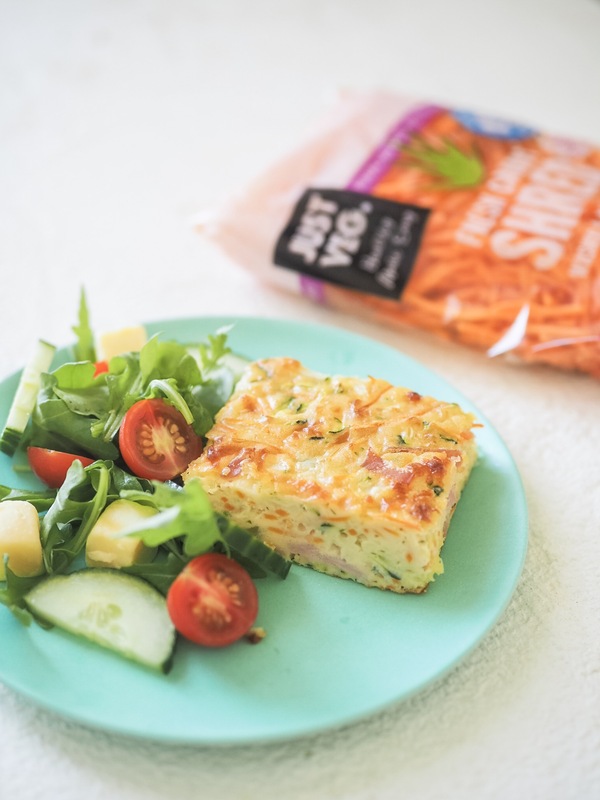 This quiche recipe is super easy and delicious because the carrot (hello hidden veg) adds a subtle sweetness to the mix. Don’t want the pastry? Leave it out and let’s call it a frittata! You don’t need us to tell you the best way to get the kids to eat their lunch is to let them make it. Well here’s a recipe you can let them loose on with great results. Quick and easy (are you seeing the trend here?) these bakes are at home in the lunchbox, or on the arvo snacking table. Amelia is one of our Just Veg. customers and she shared her Carrot Muffin recipe with us. It combines our Just Veg. grated carrot with rhubarb. It’s a winning combination. Make two batches – one for lunchboxes and one for ‘taste testing’. Fat Mum Slim blogger, Chantelle Ellem, visited the Just Veg. carrot farm recently with her gorgeous family. We showered them in carroty love and Chantelle went home to cook up a carrot storm. This Carrot & Zucchini Slice is a winner. Oh and did we mention it’s easy? Don’t take our word for it, try it! Chantelle Ellem’s Carrot and Zucchini Slice. 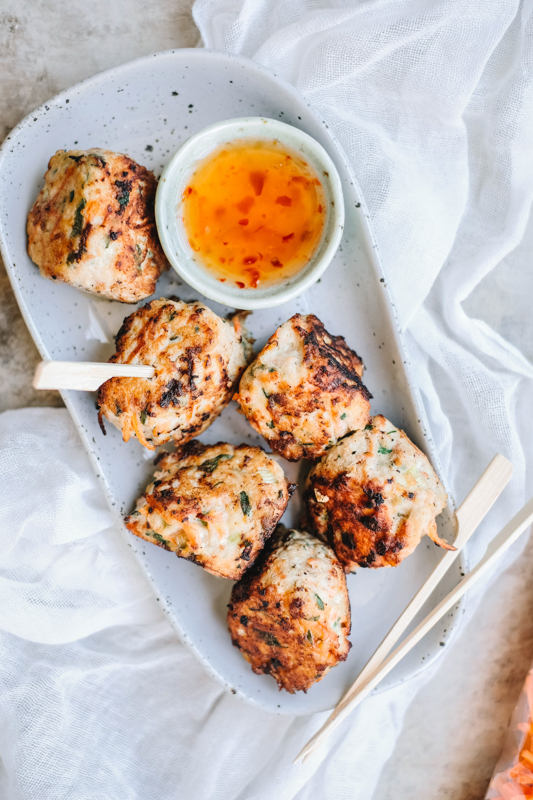 Up your snacking game with these versatile Chicken & Carrot Thai-style meatballs. The best bit? They take 10-minutes to prep! Not keen on chicken, our mini-meatballs are a tried and tested favourite. Yummy thai style chicken meatballs. Pass the sweet chilli sauce! BONUS idea: It’s a Wrap. 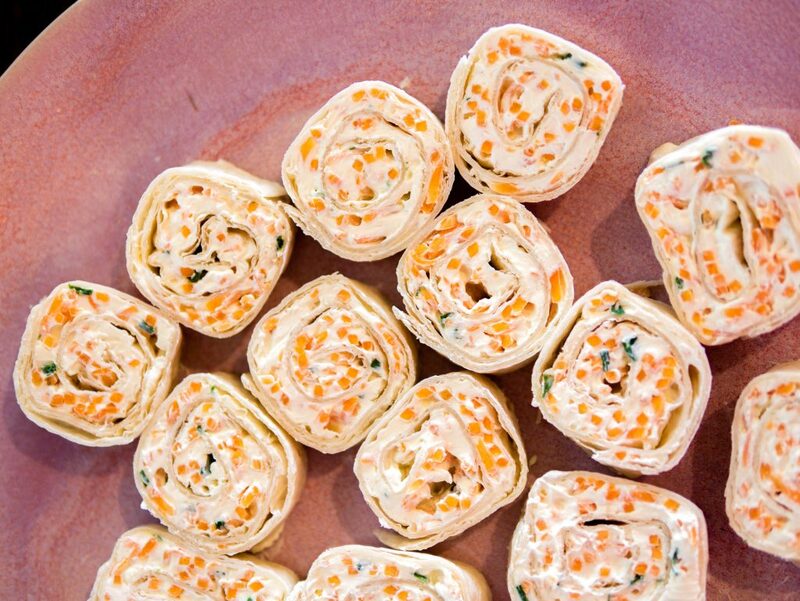 A carrot & whatever you have in the fridge wrap! It’s like a sandwich but wrapped. And better. 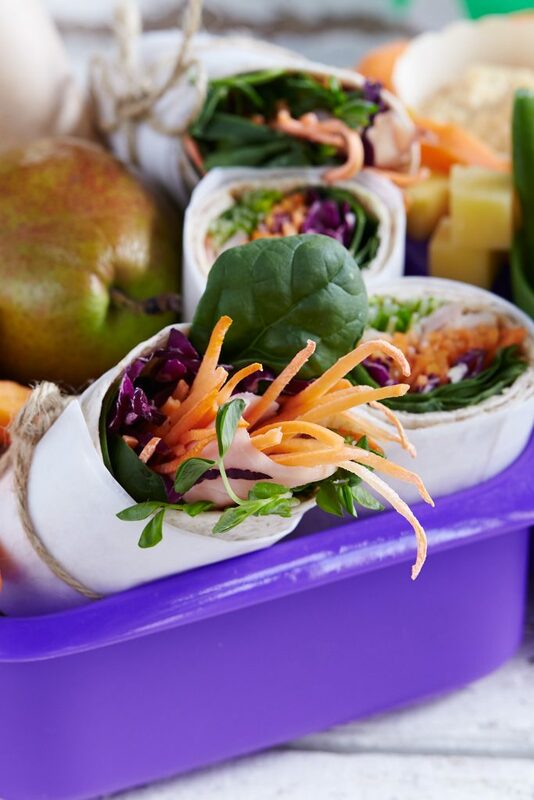 Get the kids involved and load your favourite wrap with all the good stuff. Just Veg. 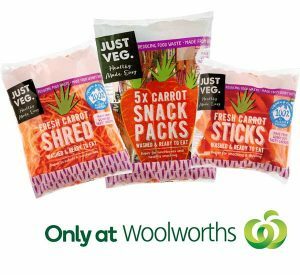 Shredded Carrot, cheese, ham, lettuce, mayo, tomato sauce, avo – whatever you have in the fridge. Fill, roll, cut, eat. Easy. It’s a wrap. Easy, fast and not a sandwich.